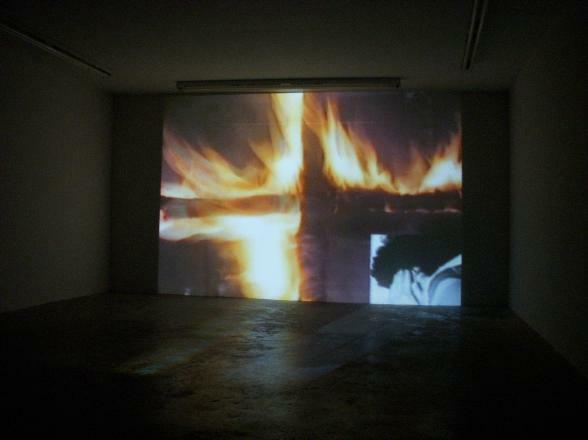 “I π”, 2008 by Serkan Özkaya. 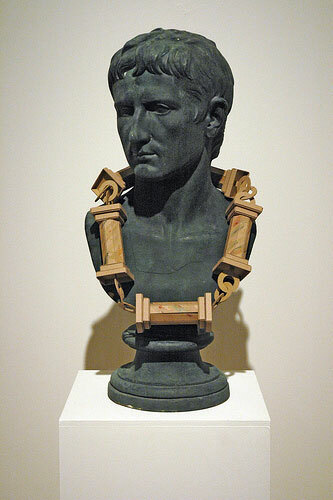 “Pillar Necklace”, 2005 by Cathy Stafford. 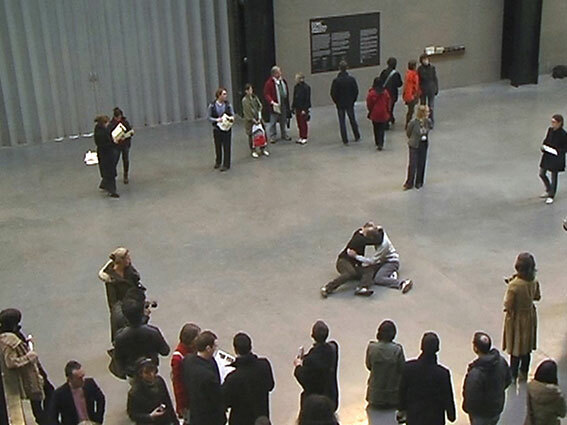 Performance “Ein Ding mehr”, 2006-2008 by Prinz Gholam. Video. 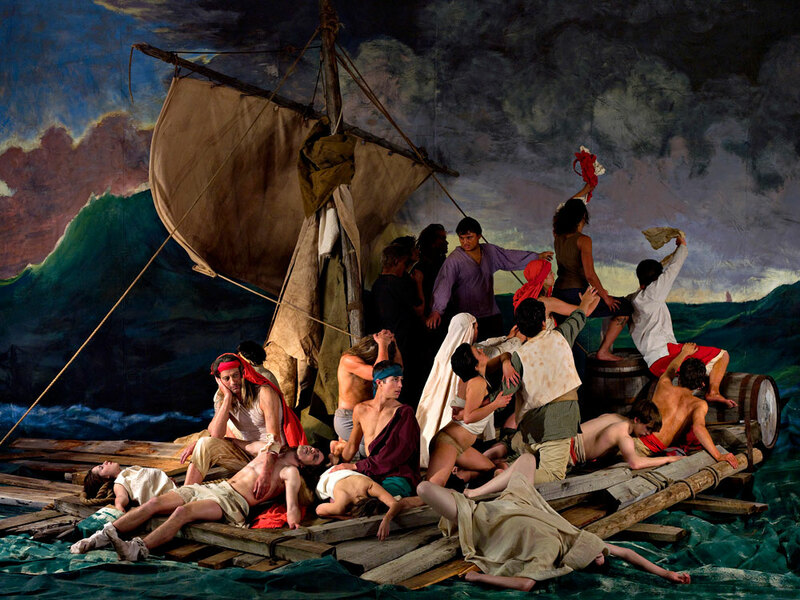 »The Raft of the Medusa (100 Mile House) 8«, 2009 by Adad Hannah. 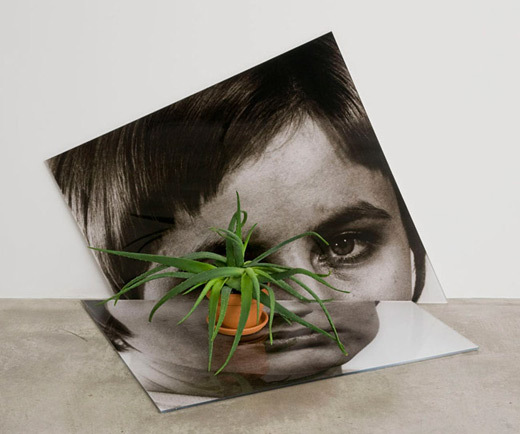 »Untitled«, 2002 by Jorge Pardo. 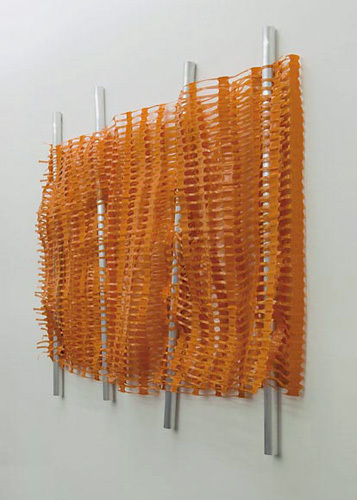 “Fencing_orange#2”, 2009 by Gerold Tagwerker. »Three Portraits: Self, Boy George, Dian Fossey«, 2009 by Timothy Hull. 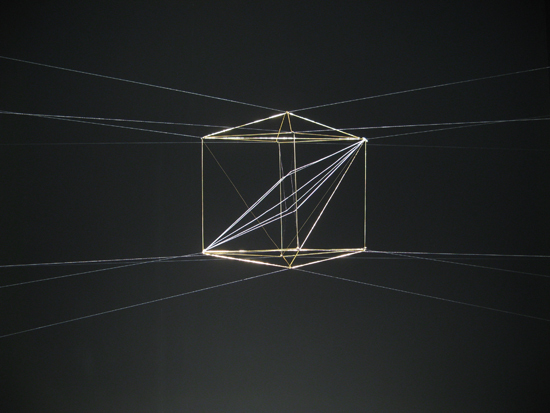 “﻿334m/s”, 2007 by Carsten Nicolai. 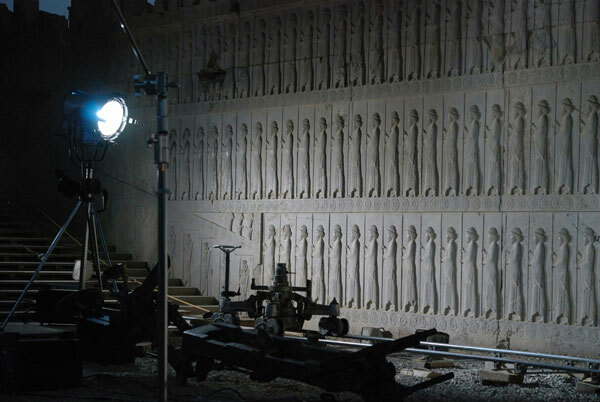 The last scene from »Offret (The Sacrifice)«, 1986 by Andrei Tarkovsky. »SLEEPLESS NIGHT«, 1983 by Koen Theys. 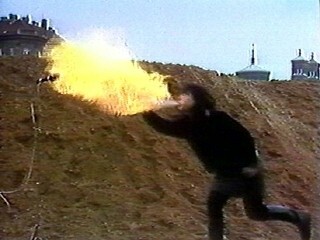 “Natural Disaster Concert“, 1984 by Die Tödliche Doris. 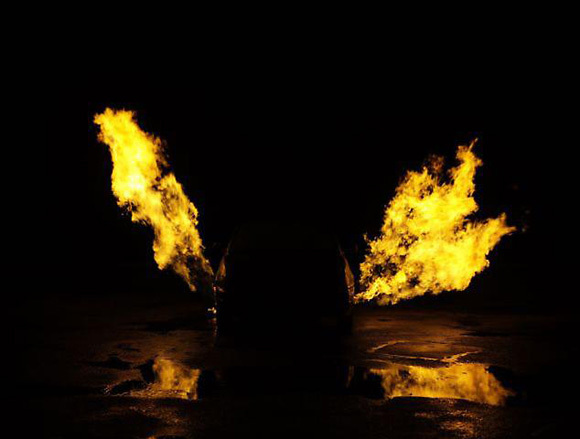 “The Blaster, South Africa, Invented by Charl Fourie as an Anti-Hijacking system photographed installed on a Toyota Corolla, one of the most frequently carjacked vehicles in South Africa.”, 2009 by Taryn Simon. 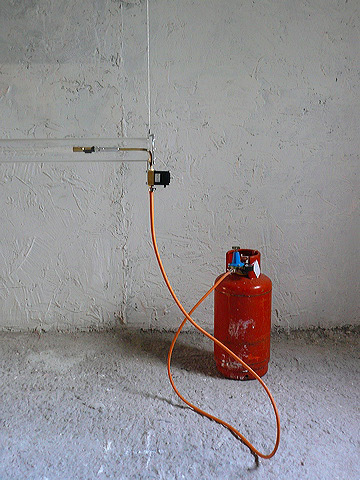 »Untitled (Project Room)«, 2008 by Jonah Groeneboer. 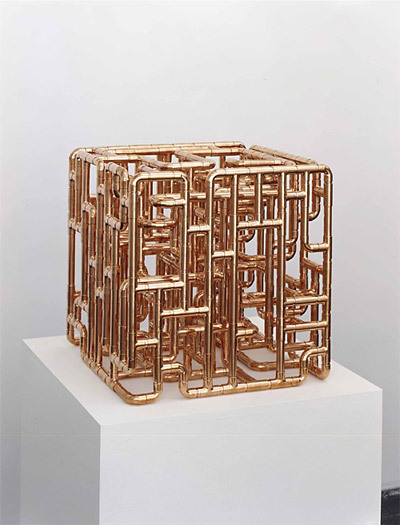 “Geometric Healing Cell for Youth – Model III”, 2007 by Steven Shearer. 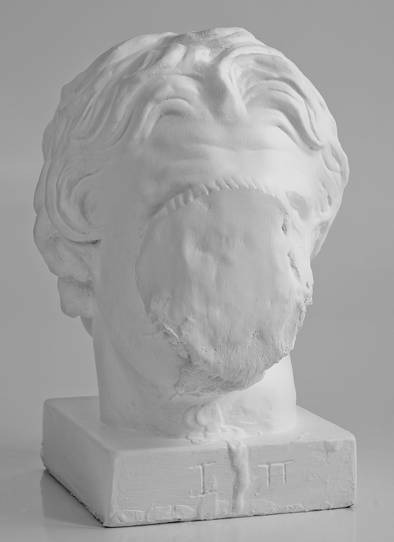 “Apadana III”, 2007 by Simon Wachsmuth. 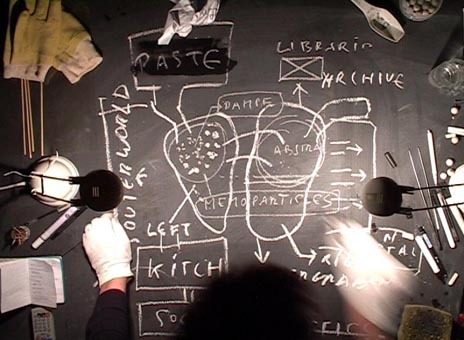 “TransLectures”, since 2000 by Nikolaus Gansterer. 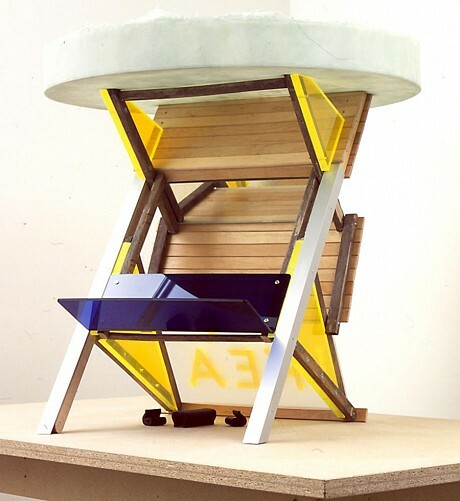 “Ikea House”, 2003 by Thomas Schütte. 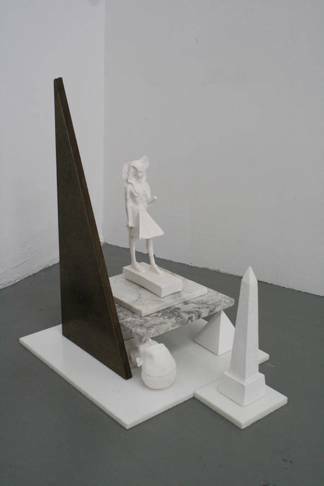 Chair parts, aluminiuim, perspex, mirror, bronze, fibre glass on chip board table. 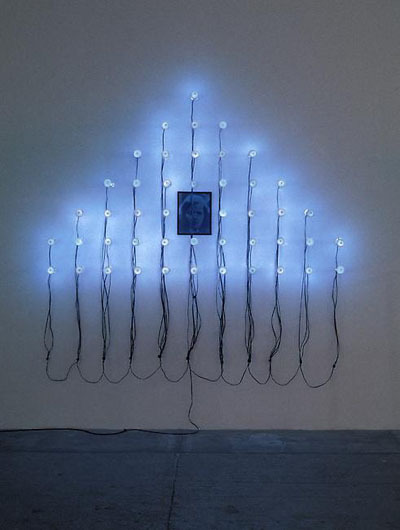 “Lumières”, 2000 by Christian Boltanski. 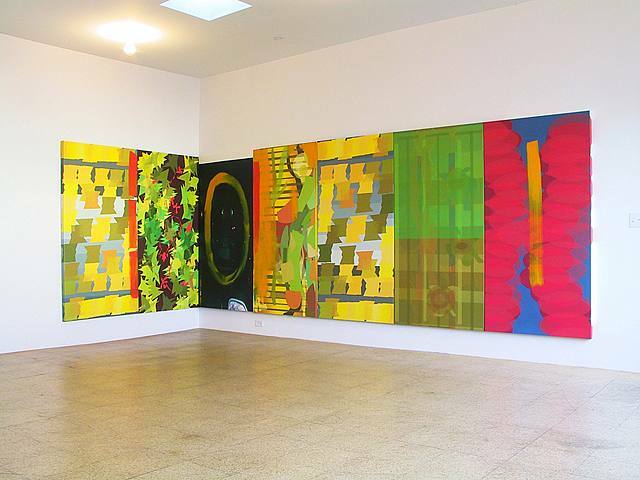 “Untitled”, 2009 by Marlo Pascual. 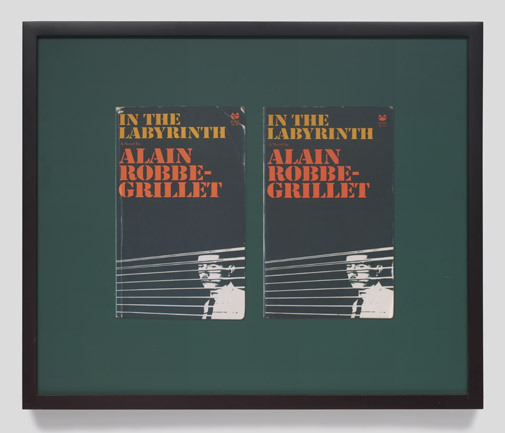 “Two in the Labyrinth”, 2006 from the series “Books” by Lisa Tan.